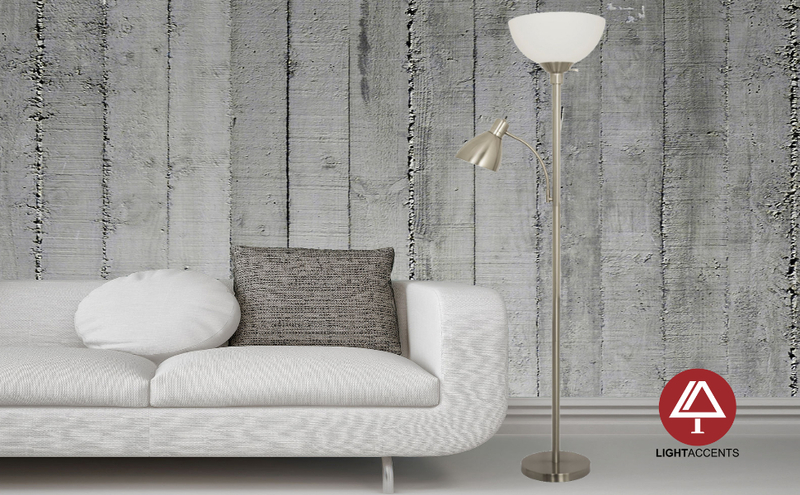 Side Reading Light makes this a great floor lamp for the living room. 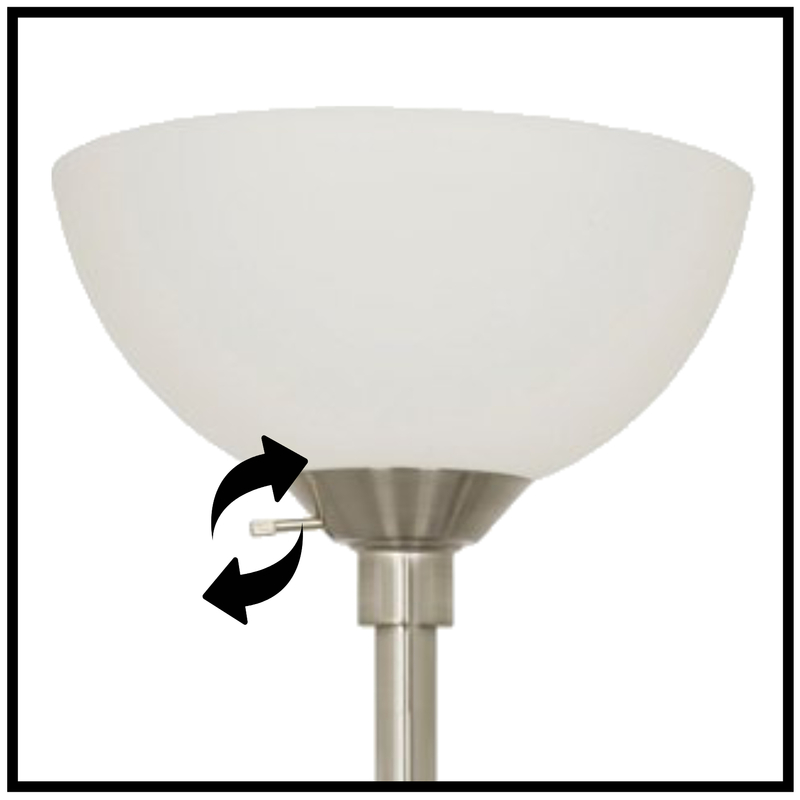 Placed next to a couch this lamp features a fully adjustable side reading light that has its own on/off switch. Use this reading light alone or in conjunction with the main light. Independent Main Light Switch allows you to turn on the room light while keeping the reading light off. The separate switches give you the flexibility to have the room light on and the reading light on or just turn on the reading light when you feel like just lighting up your book. The reading light on this floor lamp is adjustable. It features a metal gooseneck which can be positioned in any spot and it stays in place. The head has its own on/off switch allowing you the option to turn it on or off independently from the main light of the floor lamp. Nice lamp at a good price. I Like that it has the torch light and reading light. 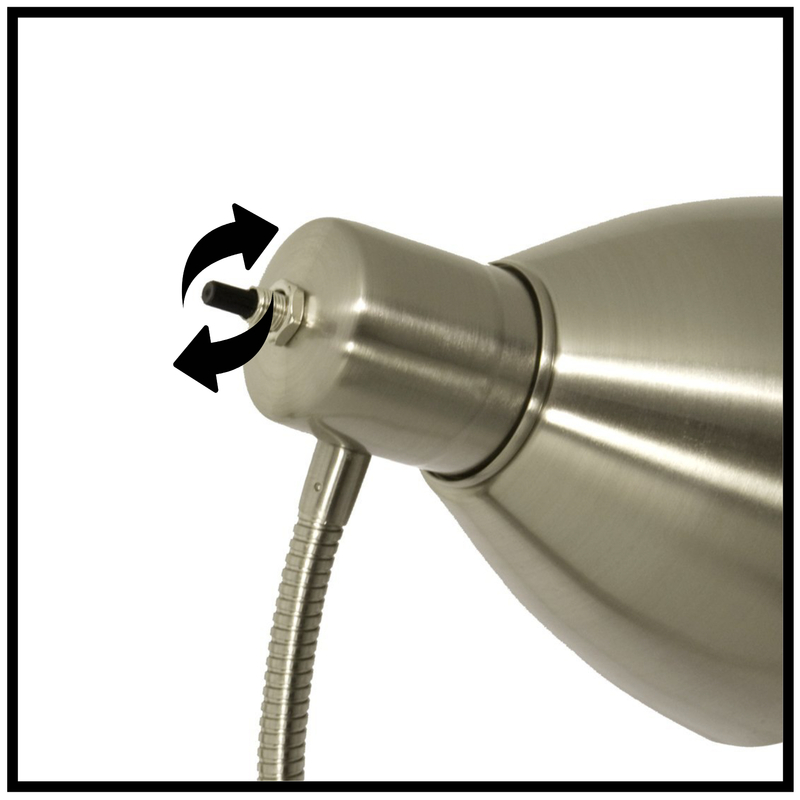 Don't forget to dust the torch light fixture weekly - they can be dangerous if you let dust build up. The base is stable and the switches operate solidly. I can get room light or just a light over my computer station, or both. Not much else to say about a lamp except that it works well and I am glad I chose this one. Great lamp and great quality. This a great lamp and exactly what I was looking to purchase. Excellent quality, though I would have preferred a glass shade instead of plastic, but looks great and very pleased. Had no problem with assembly as goes together easily. Great product!! I used a 100w LED daylight bulb and lights up the room perfectly. In the side lamp, I have a 60w daylight LED bulb. The LED bulbs do not get as hot as regular bulbs. GREAT DESIGN, TOP NOTCH QUALITY! This is a spectacular lighting fixture. I had purchased a less expensive version of this lamp(different manufacturer), and was horribly disappointed in the poor quality. With the usual Amazon Prime ease of return, I did so. This Home Design lamp is my replacement lamp, a little more expensive, but miles ahead in quality. 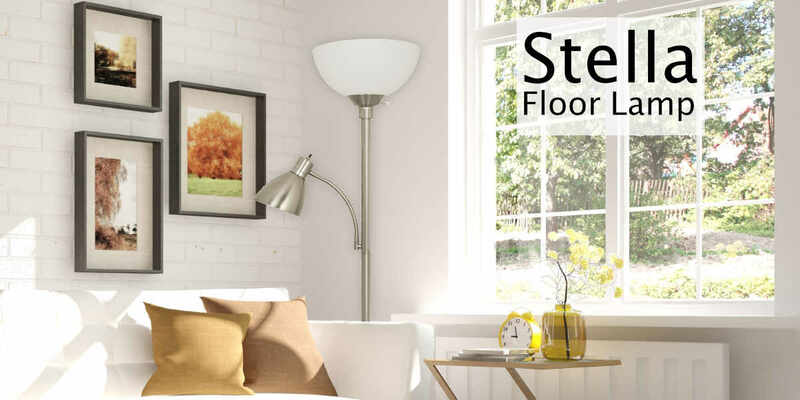 This is a VERY sturdy lamp, and the quality of the metal parts, and electrical connections are the very best. 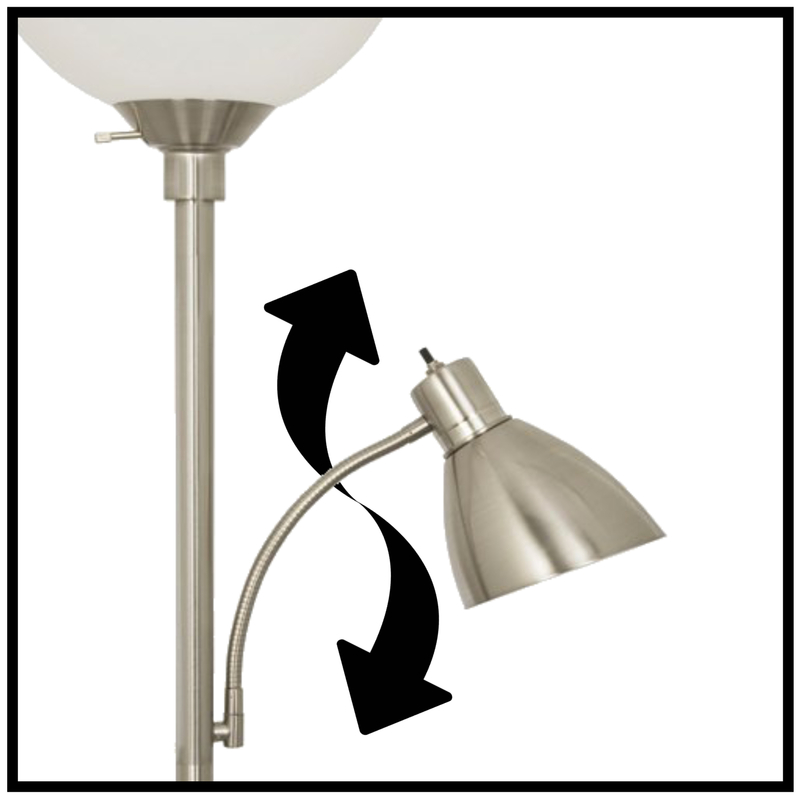 In other words, this lamp is a steel(no pun intended), at the price. I'm going to buy another one.